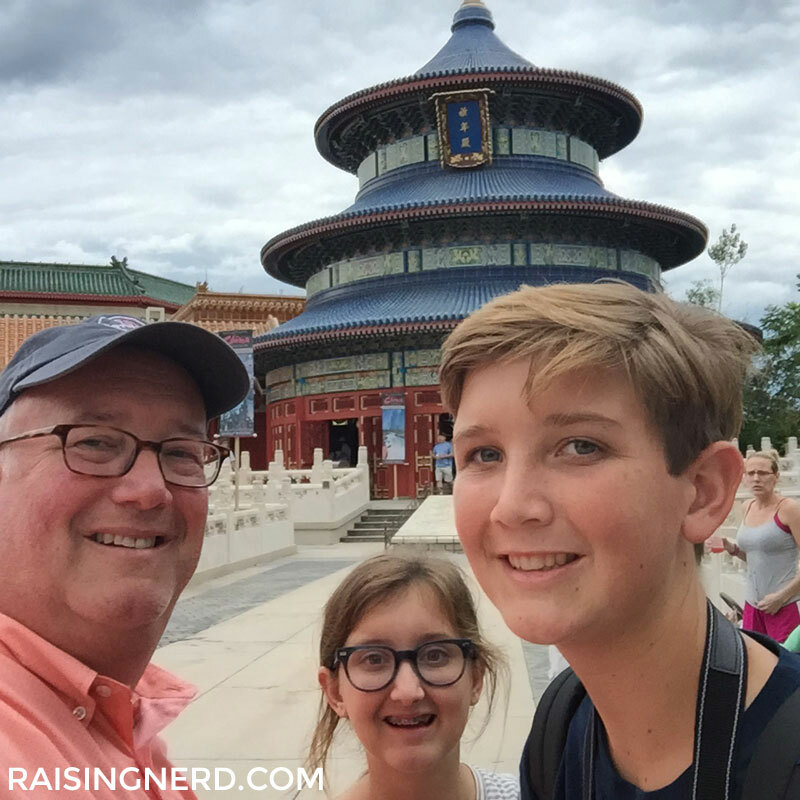 Disney Imagineer Matt Conover and his kids exploring Epcot! I’ve known Matt Conover for nearly my entire life and I’ve always been amazed by the sheer joy he projects when he’s working. From high school through college, to the present day as he continues to produce some of the biggest live entertainment events in the world, Matt’s creative zeal and love for his job have always shined through. His enthusiasm is truly contagious. So, if your Nerd has ever wondered what it takes to become a Disney Imagineer and what it’s like to work with some of the smartest, most talented people in entertainment, please join us for our latest Nerd Profile: The Disney Imagineer. RN: What is a Disney Imagineer and how is this different from any other creative career? Matt Conover (MC): Back in the early 1950’s, Walt Disney was beginning to crystallize his vision for a theme park – different from the amusement parks he had visited with his kids. A theme park that would bring to life the stories he and his animators had created on film in an immersive, family-friendly environment. He took some of his animators and hired some engineers and coined term “Imagineer” — combining imagination and engineer as he believed these jobs and people had to dream as much as they applied the math and science of engineering. Today, Imagineers make up a wide collection of creative, technical, and production/project management roles. (Note: at Disney Parks we don’t have jobs, we have roles because everyone has a role in the show!). RN: What exactly is your role? MC: My current role is within the Live Entertainment arm of Imagineering where I focus on leading production on large-scale projects at our parks, resorts, and ships around the world. In addition to leading a team of executive producers, I am also responsible for several of our global production resource teams (the teams every show needs to draw resources from to produce a show), including Casting, Music Production, and Art/Graphic Design. RN: Did you always know this would be your career? How did you get here? MC: No, I didn’t set out for this role. A career in live entertainment? Yes, that was my goal, but the path to where I am today was never clear or planned. As I often share with a variety of team members who have career conversations with me, rarely does a specific path, career-wise, play out exactly. Most importantly, I tell them to be open to new experiences and opportunities you might never have considered before. I graduated from college with a Bachelor of Fine Arts in Technical Theatre with a focus on lighting design. Following college, I did a couple different related but unconnected gigs, only to answer an ad in an industry magazine called Lighting Dimensions (now called Live Design) for a job as a stage technician at Walt Disney World. Certainly, I had no idea how long that job would last, much less that it would turn into a 27-year career that would take me all over the globe, and have me leading teams producing some of the largest, most spectacular shows and events in the world. RN: What hobbies outside of design and tech do you have, and what hobbies do you want to nurture in your own children? MC: My hobbies outside of my “Day Job” often intersect with my career. I love to travel, and I enjoy seeing many forms of entertainment (movies, TV, concerts, etc). I play a little golf and enjoy technology, in general, outside of entertainment — and I am an early adopter, for certain. I had the first iPhone, I drive a Tesla, and I have a bunch of home automation — I enjoy tinkering with those kinds of things. For my kids, one of my priorities has always been to provide them a wide variety of experiences, but allow their passion to drive their interest and participation. Though I would never push one of my kids to participate in something they really didn’t want to do, once they begin, they have to finish their commitment (be that of a sports season, or similar). RN: What hands-on learning resources — websites, apps, books, institutions/museums, etc — would you recommend for parents looking to inspire and challenge their preschool, elementary, middle, and high school kids? How about for parents of not-quite-there-yet Nerds? MC: I would say…YES! All of it. Allow curiosity to drive the experiences. And push into things they might not consider. Some who may be very tech focused might not think an art museum or an opera would be enriching but it is often the best kind of experience as people approach everything from their own point of view and based on their experience. Get out and experience. As we move into jobs where we are creating things — whether that is an app or a show or a bridge or a jet plane, all of our experiences in life will feed what we do. RN: Who were your early influences/mentors? How did they encourage you to pursue a career in design and theater? In my Disney career, I’ve had a 27-year collection of leaders, all of whom have taught me a great deal. Some taught me what kind of leader I did NOT want to be. Several have been outstanding models for who I want to be, and I hope I fulfill at least some of their teaching every day. RN: What advice would you offer parents with kids who haven’t found their passion yet? Conover as a Stage Manager at Epcot in the early 1990’s – first steps into leadership. experiences and “see what sticks.” In many arenas, people are more than willing to have a “career conversation” — sharing their story and what their work is about to give insight. For the past 10 years, I have participated in the Career Day for the 8th graders at our middle school and hope my sharing has inspired someone. RN: What stokes your passion for your job or your other like interests, i.e., what keeps you coming back for more? MC: The people. And in my case, it’s two distinct groups. The people I work with are amazing! They are clearly some of the best live entertainment professionals in the world and constantly inspire me and push me to be better with each show and project. The other group is the audience. People often ask how often I go to the parks to see the shows. I go as often as I am able — but I often find myself watching the audience more than the show itself. Looking to see how they react, what emotions are being generated. Is it appealing to everyone? The people keep me coming back and it is great to be able to work with intellectual property from Disney including Pixar, Marvel, and Star Wars, among many others. RN: What are you working on now that might tip the scale and get a “nerd-to-be” or “fence-sitter” excited? MC: For the “nerd-to-be,” be excited that we never stop dreaming. Walt Disney said, “As long as there is imagination in the world, Disneyland will never be complete.” That is something we live every day. Live entertainment provides the most flexible tool in our toolbox. We can reprogram a fireworks spectacular or change a show in a theatre much more nimbly that we can change a whole attraction. We just opened an amazing new theme park in Shanghai, China with more than 15 entertainment offerings; from small atmosphere shows and character greetings, to a nighttime spectacle like nothing we have done before, to a stunt show based on Pirates of the Caribbean! And our partners in the attractions team are hard at work on new whole lands based on Star Wars and new attractions for Iron Man and Guardians of the Galaxy. Scott and fellow Disney Imagineers in a planning meeting for Shanghai Disneyland. RN: At Raising Nerd, we’re all about encouraging Nerds to explore and learn by failing — trial and error. Did you ever destroy something or get into some other kind of trouble while tinkering or doing a science project as a kid…or adult? MC: Destroy something? Hmm… I did have a time when I was working on a show in high school where I needed to turn off a circuit breaker to move some theater seats, and I couldn’t find it. So thinking with my limited electrical knowledge that I could just cross the wires and it would trip the breaker. Nope. It was an emergency circuit — yikes! A small fire ensued — very contained, no real damage, no one hurt. But lesson learned.